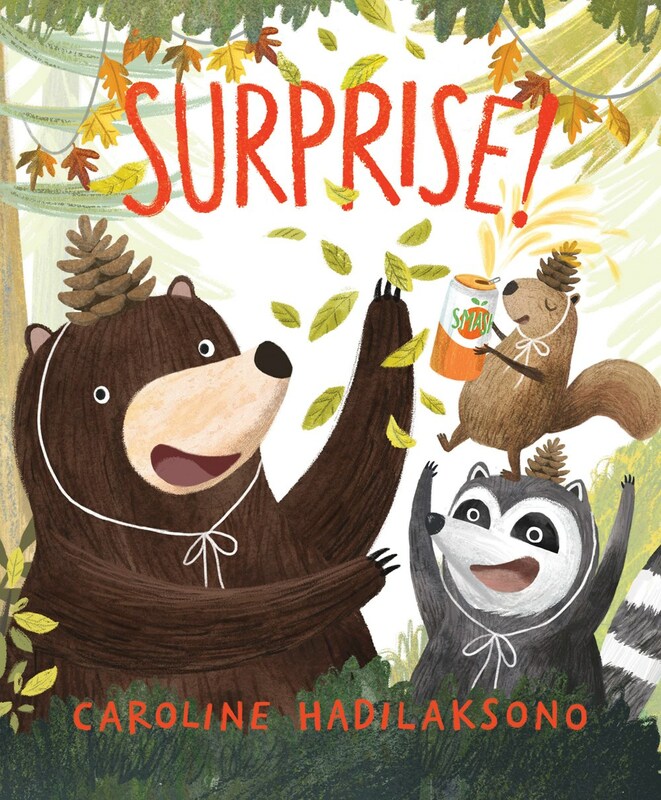 A laugh-out-loud story of trying to make new friends and appreciating the ones you have from debut author-illustrator Caroline Hadilaksono. Bear, Squirrel, and Raccoon have been friends a long time. A loooooooong time. So when a family of city folks comes to the neighborhood, the friends think that a surprise welcome party is just the kind of fun they’ve been looking for. Well, the party turns out to be quite the surprise indeed, but maybe not exactly what Bear, Squirrel, and Raccoon were imagining? Laugh-out-loud fun for friends and families of all species! Caroline Hadilaksono was born in Indonesia, moved to Los Angeles when she was twelve, and while she currently lives in New York, she will always consider herself a California gal. She is equal parts designer and illustrator, and one of the original cofounders of The League of Moveable Type. These days she’s busy making pictures, books, and educational science apps. She dreams of traveling around the world and one day living in a tree house. Find her online at hadilaksono.com.